Ingredients are! 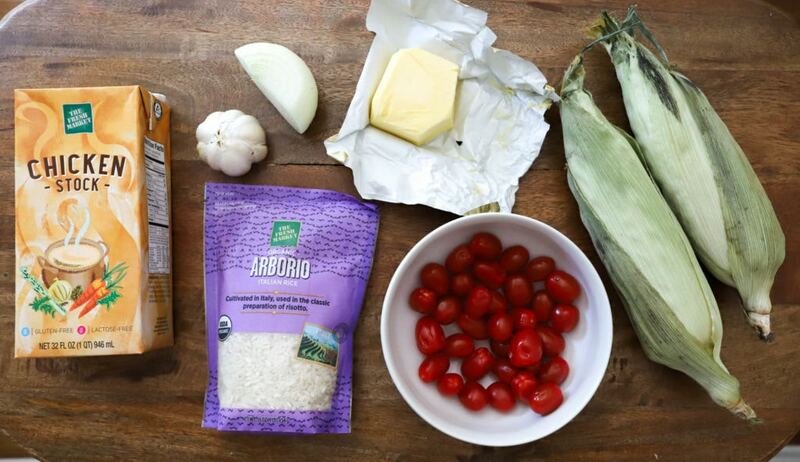 Corn (fresh or frozen works fine), tomatoes, butter, onion, garlic, arborio/risotto rice, and stock. This is a vegetarian dish if you use veggie stock, but chicken is what we had and tastes wonderful if you’re into meat. Some fresh herbs for topping are lovely but not necessary. First, we’ll roast/char the tomatoes and corn while we prep the rest of the risotto ingredients. Preheat the broiler, then halve the cherry tomatoes (or dice if using a large tomato) and scrape the corn from the cobs. Arrange the tomatoes and half of the corn on a small baking sheet, then drizzle it with oil and sprinkle it with salt and pepper. Broil the veggies for 7-10 minutes until they’re dark but not burnt, then set them aside while you make the risotto. While the veggies are broiling, dice the onion and mince the garlic. 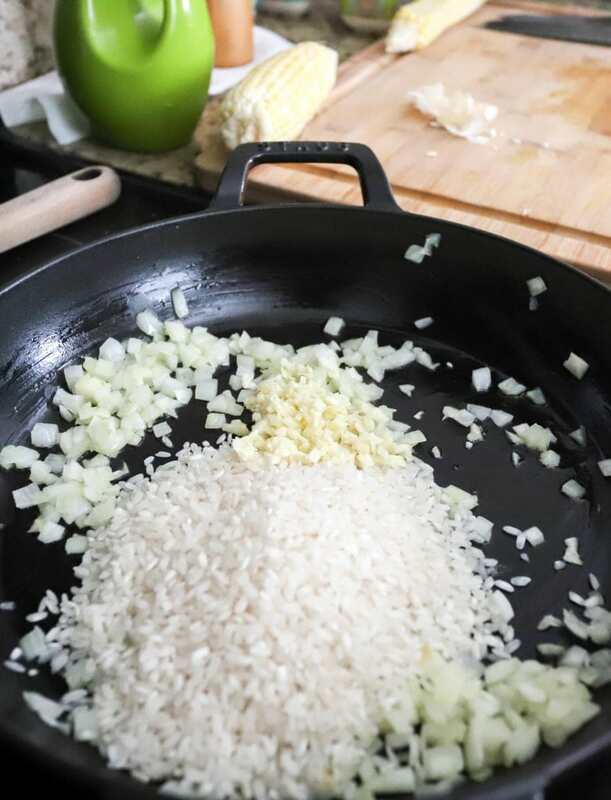 Turn a skillet to medium heat for the risotto with a drizzle of olive oil. Add the onion and cook it for a few minutes just to soften, then add the garlic and rice to the skillet with one tablespoon of the butter. Stir the rice into the onion, and let it toast for about a minute until you can smell the garlic. Then, add the stock about a cup at a time, stirring as you go. You’ll add some stock, stir until it’s all absorbed, then add some more until the stock is all gone, then switch to water until the rice is cooked through. 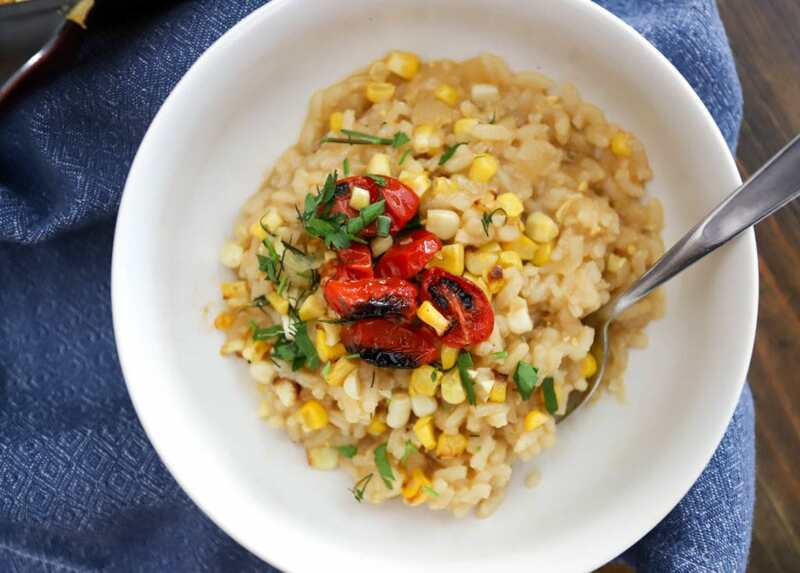 You can use all stock if you’d like, but sometimes I find that the flavor of the risotto gets too strong when I do that, and in this case it would overpower the corn and tomatoes. As the rice is cooking, I use the back of my knife to scrape any extra bits and juices from the corn cob. 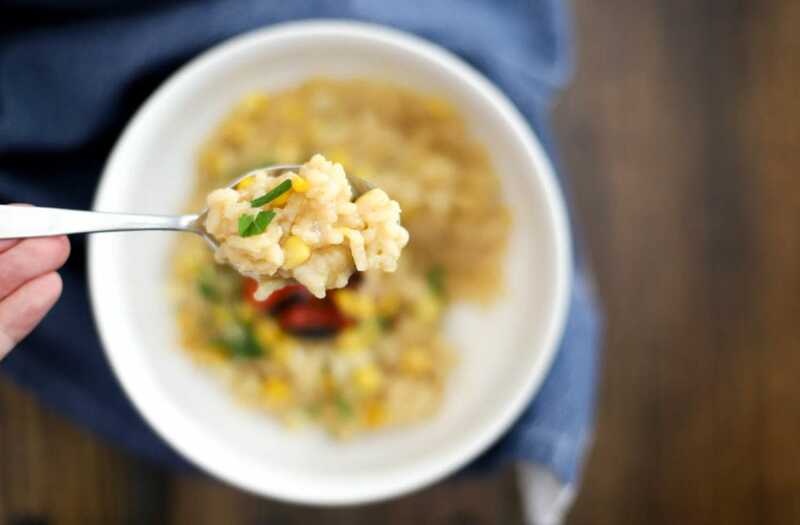 This is completely optional, but adds extra corn flavor to the dish and a sweetness that is wonderfully summery. After about 25 minutes, the liquids should all be stirred into the rice and it should be tender but not mushy. 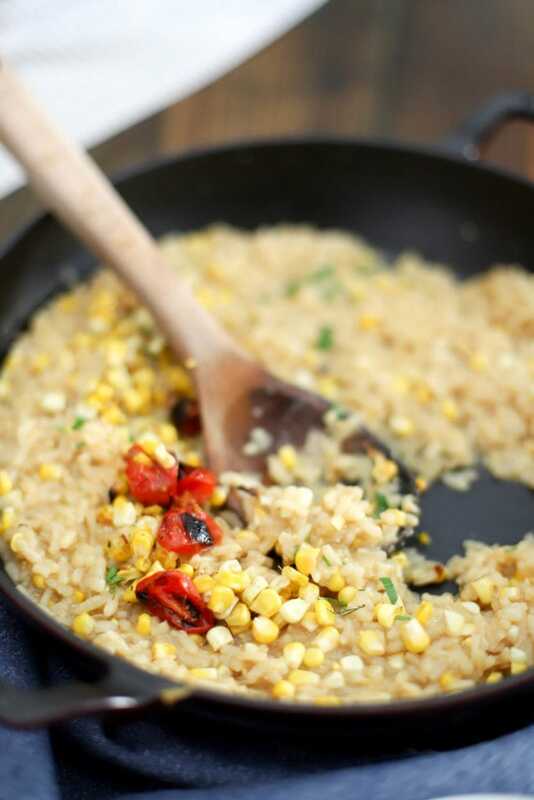 Add a few pinches of salt and pepper to enhance the flavor, and stir in the raw corn kernels just to heat them through. Stir the rest of the butter into the risotto as well. Taste the risotto one more time and add more salt to your preference (it should be flavorful! salty! ), then top the dish with the charred veggies and some fresh herbs, then serve! 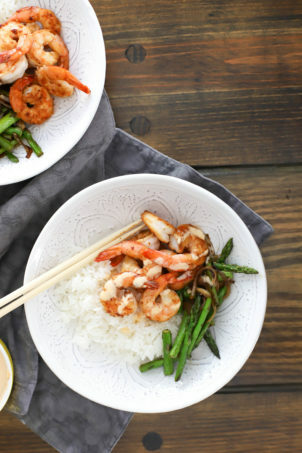 The flavor is SO good here without a ton of ingredients, which I love. 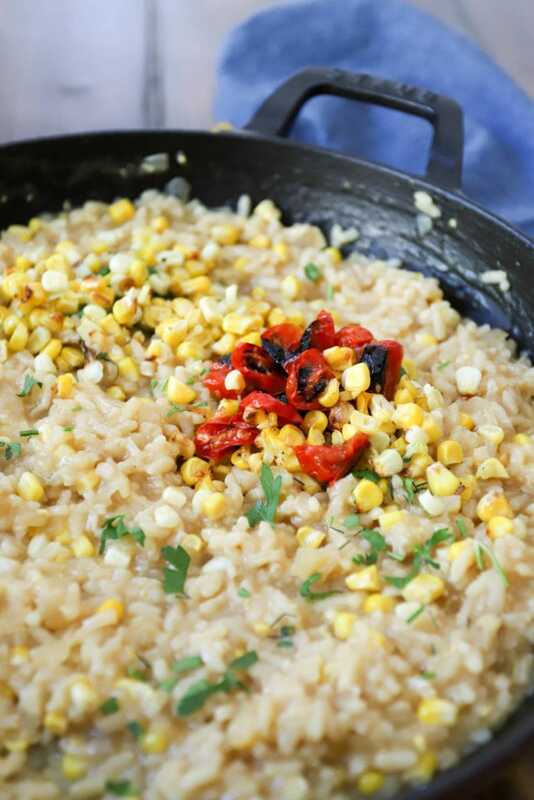 Traditional risotto has wine and parmesan in it, which are both delicious, but I left them out here because I really wanted the corn and tomatoes to flavor the dish, and those flavors are so mild. 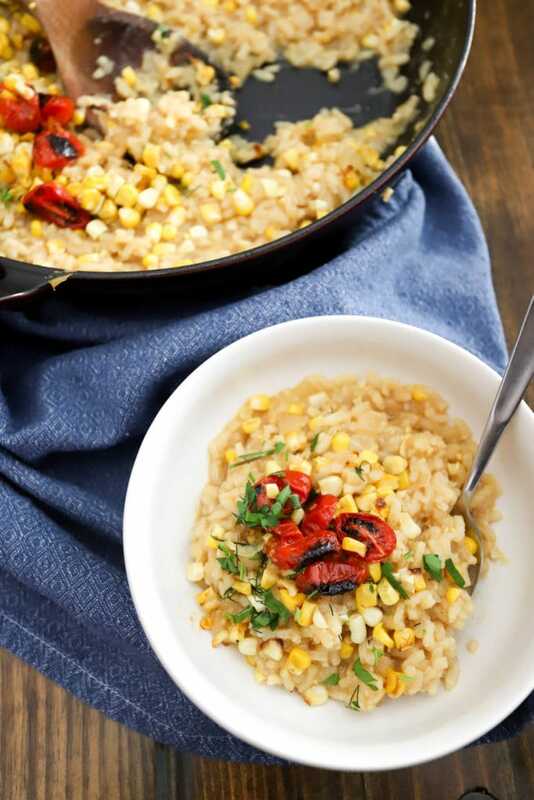 The combination of raw and charred corn makes the dish complex without a ton of extra work, bonus points for using one ingredient a few different ways. 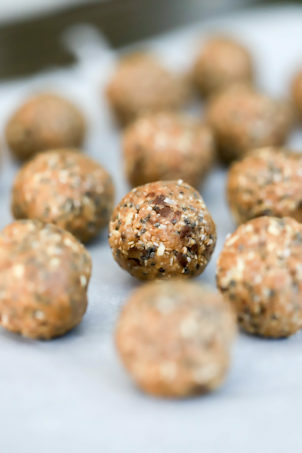 Even if it has to wait until the weekend, make this at some point this week! 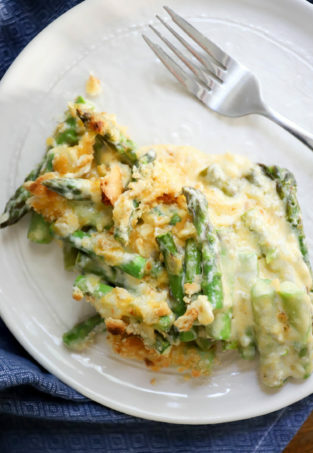 It’s comforting, seasonal, and great on its own or as a side dish to some grilled chicken or fish and other veggies. Enjoy! 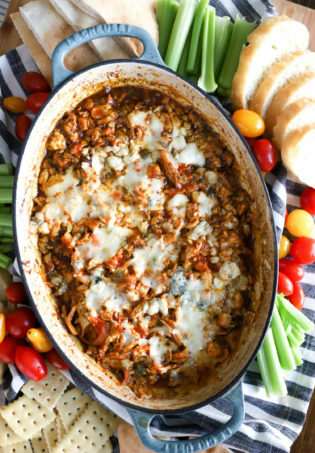 The perfect end-of-summer dish, cozy and bursting with fresh produce. Preheat the broiler. Arrange cherry tomatoes and half of the corn kernels on a baking sheet in one layer. Drizzle with olive oil and sprinkle with salt and pepper. 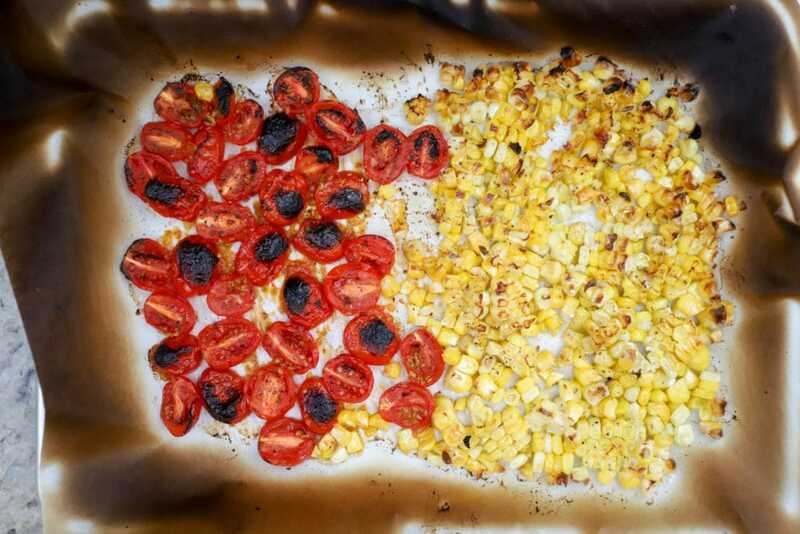 Broil the corn and tomatoes for 7-10 minutes until lightly charred on the top and slightly browned all over. Remove from the oven and set aside. Meanwhile, make the risotto. In a large skillet over medium heat, add the onion with a drizzle of olive oil. Cook the onion until soft and translucent for about five minutes, then add the garlic, rice, and one tablespoon of the butter. 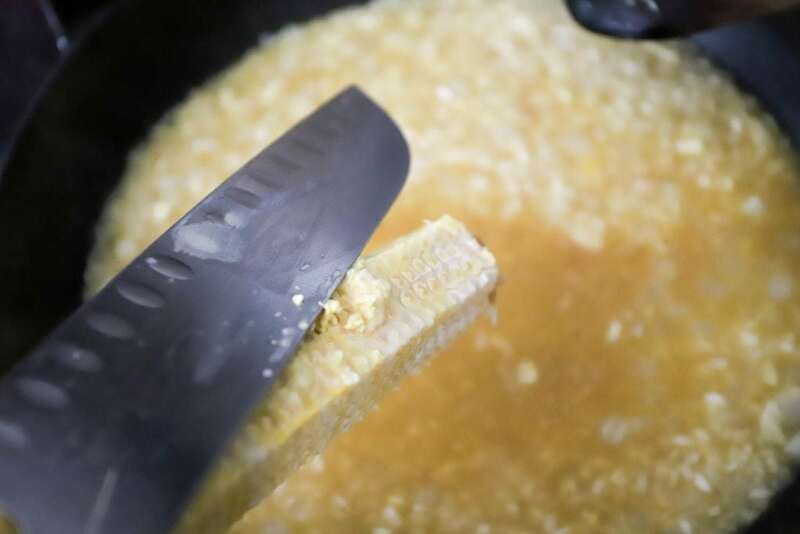 Stir the butter into the rice mixture for two minutes to coat the grains of rice, then slowly begin to add the liquids. 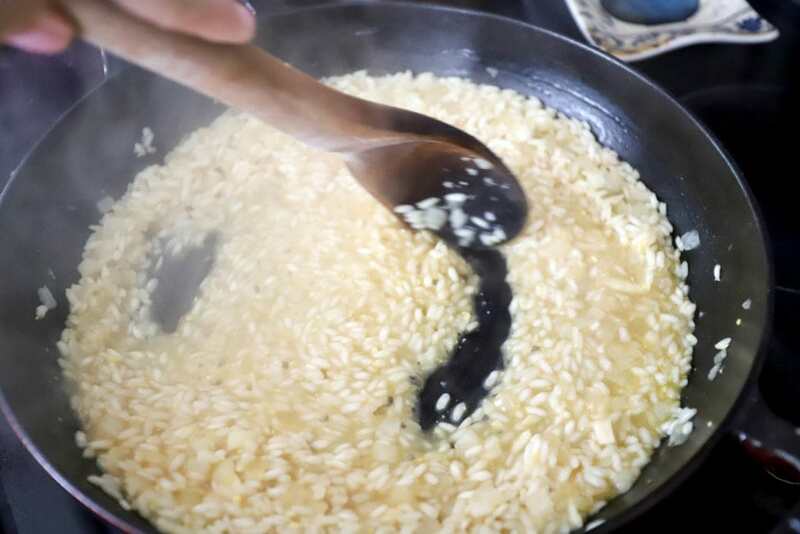 In four or five additions, add the stock and water to the pan about a cup and a half at a time, stirring as you go to make the risotto creamy. When the liquid has all been absorbed, add more liquid until you’ve used all 6 cups total of stock and rice. This process will take 25-30 minutes. When the liquids have been stirred into the rice, reduce the heat to low. Taste the rice and add salt and pepper to your preference. If the rice is chewy and not fully cooked, continue to add warm water ½ cup at a time until the rice is cooked through but not mushy. 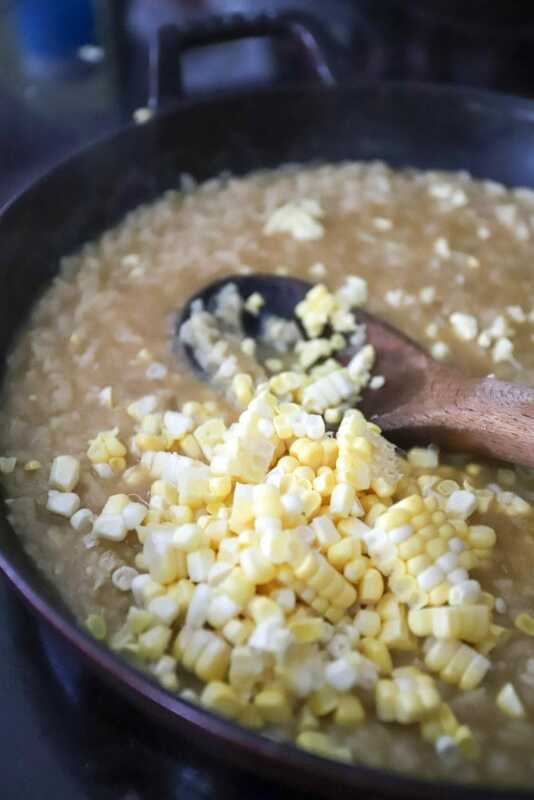 Stir in the final two tablespoons of butter and the corn kernels that aren’t charred. Taste once more for seasoning and add a final sprinkle of salt and pepper. 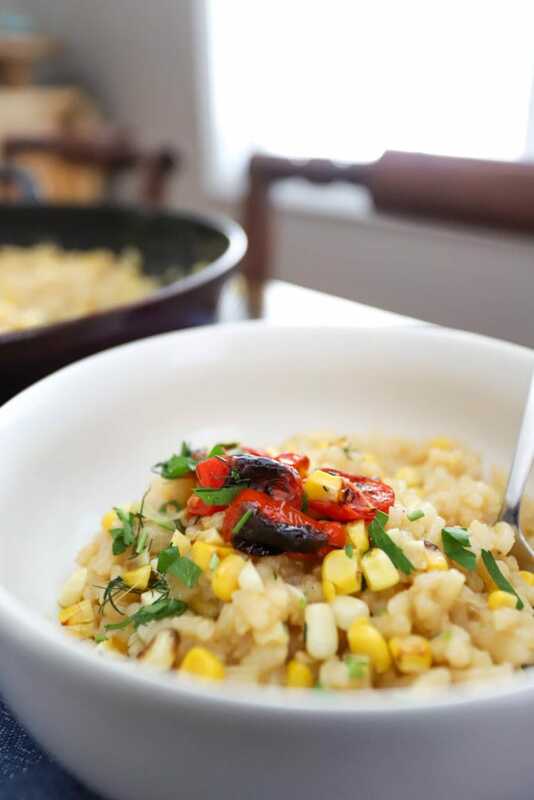 Serve the risotto in shallow bowls topped with the charred corn and tomatoes and any fresh herbs you like. Enjoy! So good! Can’t wait to make this!